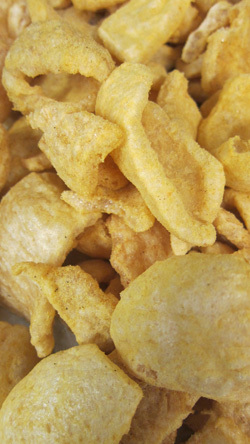 Yes, unbelievable I know, but why would a Pork Scratching Manufacturer have a celebrity page? Well I will tell you, by the way, I’m Shaun Simmons. 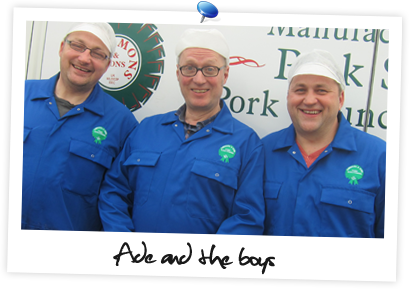 It all started over 15 years ago when our local radio station, BBC radio WM, invited us on to talk about how Pork Scratchings were made and to answer listeners questions. At the time it was a DJ called Malcolm Boyden, who himself was a popular figure and would go on to star in Christmas Panto and write his own weekly column in a local newspaper. Of course I was volunteered by my father and brother to go to Birmingham’s Pebble Mill and feature on the show which, let me tell you, is terrifying after all, I was just a Pork Scratching cook. I listened to my radio on the way there, hearing my name mentioned several times by Malcolm as a guest who would be featuring on the show that morning which only added to my nervousness, but I needn’t have been nervous as the show went fine and we were invited back many times always being introduced as ‘G Simmons and Sons Scratchings to the Stars’ by Malcolm, in fact it was through ‘The Malcolm Boyden Show’ that I met my first celebrity. Malcolm was starring in a Christmas Panto along side Karl Howman, of Brush Strokes fame, and Don Maclean, who for the older readers starred in Crackerjack. Karl had let slip that he was a big fan of Pork Scratchings but could only buy very small packets in London where he lived so Malcolm had invited me into the studio whilst he was interviewing Karl and Don on his show. I was to bring along a huge bag of scratchings and plonk them in front of Karl whilst he was being interviewed live on air. Karl was bowled over and the studio erupted, a great day and my first celebrities, but not my last. We received a letter from a soldier who was out in the Middle East, his parents had put together a food parcel which they had bought from ASDA. Included was a packet of our pork scratchings. He had enjoyed them so much he had written to us asking if we could send a few packets out for him and his mates to enjoy as they reminded him of home, and of course we did. The local paper ran the story followed by the radio and finally by our local TV news station who came along to the unit and interviewed me, as again I was involuntarily put forward, for my first TV appearance. I went on to appear on BBC’s ‘The One Show’ once with the lovely Toyah Willcox where we travelled to Toulouse in France to sell Pork Scratchings on a French market and once with food critic Jay Rainer who had come along to the factory to see how Pork Scratchings were made. Celebs who have I have met or have eaten our Pork Scratchings include Karl Howman, Chris Evans, Don Maclean, Ian Lavender, Toyah Willcox, Jay Rayner, Adrian Chiles, Dominic Littlewood and of course Malcolm Boyden and I’m not finished yet as my brother and I have just finished filming for the show ‘ADE IN BRITAIN’ which went out at the end of 2012, which means I can now add Ade Edmondson to my list, not bad for a scratching cook.